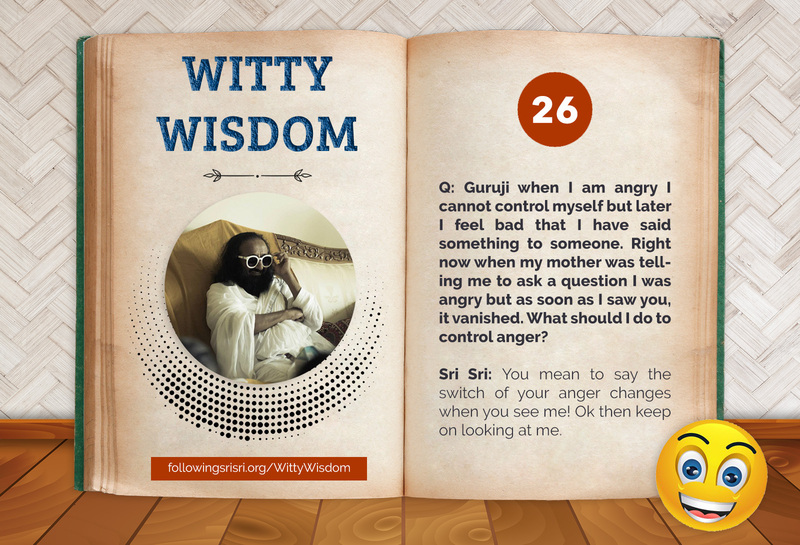 Q: Guruji when I am angry I cannot control myself but later I feel bad that I have said something to someone. Right now when my mother was telling me to ask a question I was angry but as soon as I saw you, it vanished. What should I do to control anger? Gurudev Sri Sri: You mean to say the switch of your anger changes when you see me! Ok then keep on looking at me.